Who Benefits from the Housing Tax Incentives? 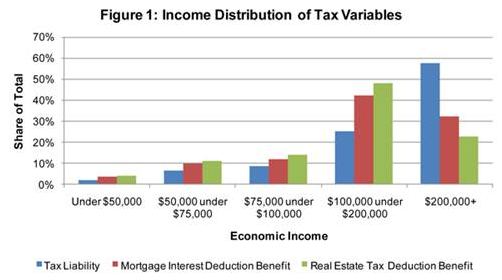 Recent research conducted by economists at NAHB details who benefits from the major housing tax rules, including the mortgage interest and real estate tax deductions. The estimates in the paper supplement earlier research concerning age distribution analysis of the housing tax benefits, and are consistent with the overall result that the most important beneficiaries of the housing tax rules are middle class families, particularly younger buyers who must use mortgage debt (as opposed to rolled-over housing wealth) to purchase a home for a growing family.